Prime Minister of Malaysia Najib Razak is under fire. He has to overcome the snake in the grass within UMNO from blocking him to move ahead. Furthermore, he is always busy of confronting with the attack of his political rivals from opposition front. 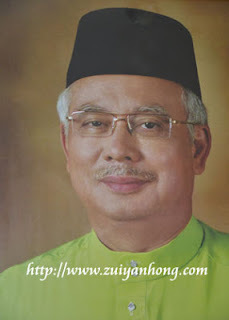 Najib Razak keeps on apologizing publicly to all Malaysians. In the meantime, Barisan Nasional is still making the same mistakes repeatedly. The transformation effort mentions by Najib Razak is totally a failure. The attitude of overspending among government officers remains unchanged. The NFC incident ended up as a record of Guinness Book of Records under the category of mockery. Regardless of the next general election result, Najib Razak has to follow the step of former PM Abdullah Badawi to retreat. Provided Pakatan Rakyat is defeated disastrously, or else the dissidents within Umno will force him to hand over his power. Najib Razak is between a rock and a hard place. The game will be over for him after the 13th generation election. What Is This Black Object?